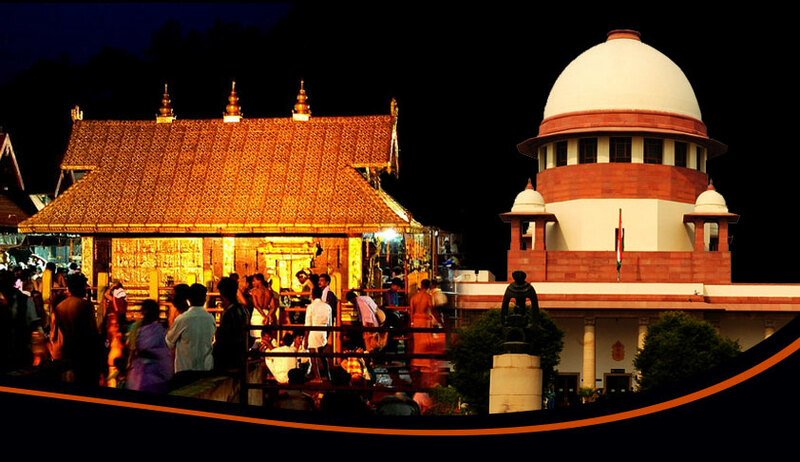 The Supreme Court on Friday turned down the request for an early hearing on Kerala government’s application seeking the transfer to the apex court of the petitions pending in the High Court of Kerala in relation to Sabarimala temple. Chief Justice Ranjan Gogoi observed that the matter shall come up on the docket in the normal course, not on an urgent basis. In this backdrop, the state government has approached the Supreme Court, stating that the directions issued by the High Court are contrary to the spirit of Constitution Bench decision of the Supreme Court delivered on September 28. The Government has stated stated that Sabarimala issue has been politicised by right wing outfits; the holy chants of “sharana manthras” are being used as political slogans; bigots posing as devotees are creating law and order issues there. The incidents of violence which occurred on October 17 and November 5, when few women attempted entry, are also narrated in the petition. The interferences by the High Court are affecting the measures adopted by the Government to protect genuine devotees.